How To Use ASCII Special Characters in Blogger Posts and pages? Home Blogging Guide How To Use ASCII Special Characters in Blogger Posts and pages? We are writing this post for the newbies who still are not comfortable with the blogger post editor and are not able to fully utilize its pre-built features. 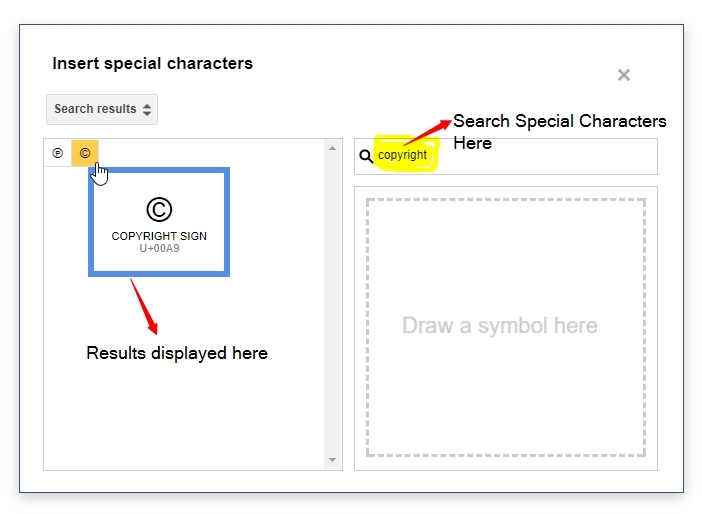 We have seen in many sites how they use special characters in their blog posts Currency Symbols like $ dollar , ￡ Pound, ₹ Rupee etc copyright, Trademark, Emoji, mathematical operators, arrows, technical symbols and shapes. This All Symbols/characters are known as ASCII Characters which stands for the "American Standard Code for Information Interchange". 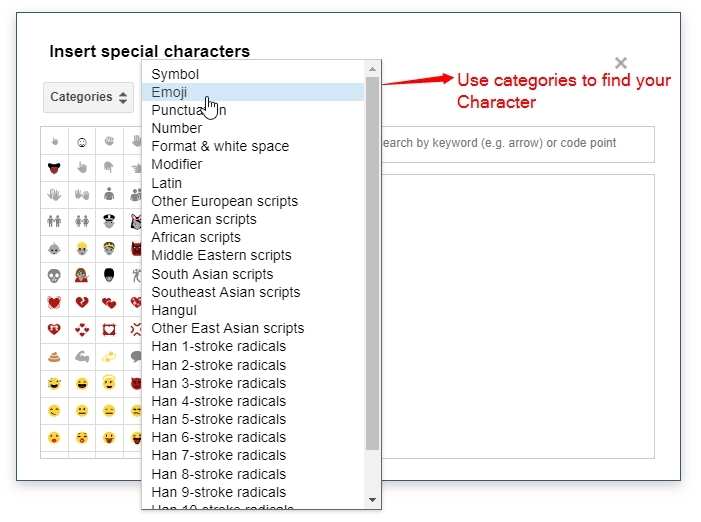 We know some of this characters are not available in the standard keyboards hence we need to remember the character codes which are html based. We cannot remember so many codes that's why we need to know a easy method to use them in blogger blog posts. 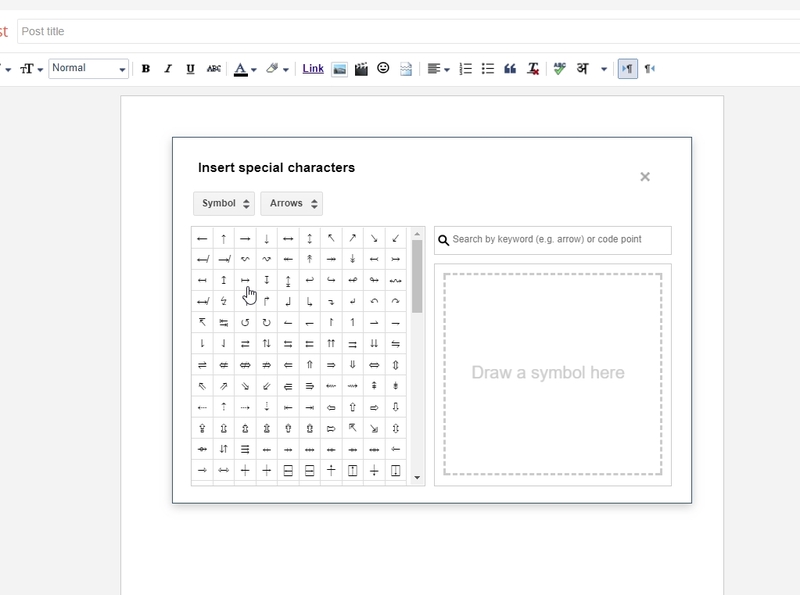 The easy way to add is using the blogger WYSIWYG post editor. Just follow the below steps to easily add special characters where you want inside the post. STEP 2: Go To Posts >> New Post >> Click on the smiley icon in the post editor as shown in the image below. STEP 3: After Clicking on the smiley icon you will see a box will popup at the middle of the post. STEP 4: This popup box contains all the special characters systematically arranged in different categories as shown in the image below. 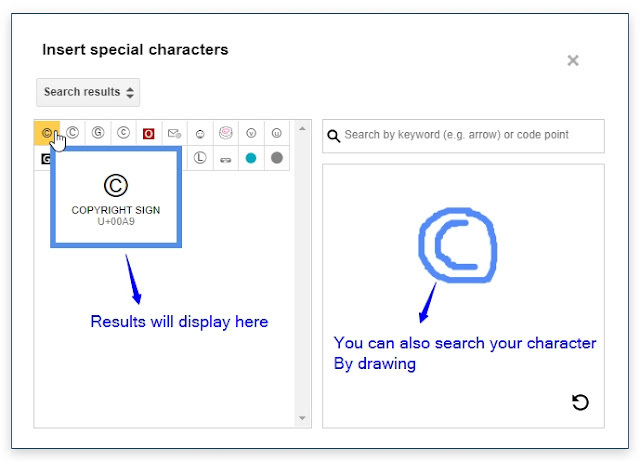 STEP 5: You can also search your desired special characters by drawing them if you know their shape. 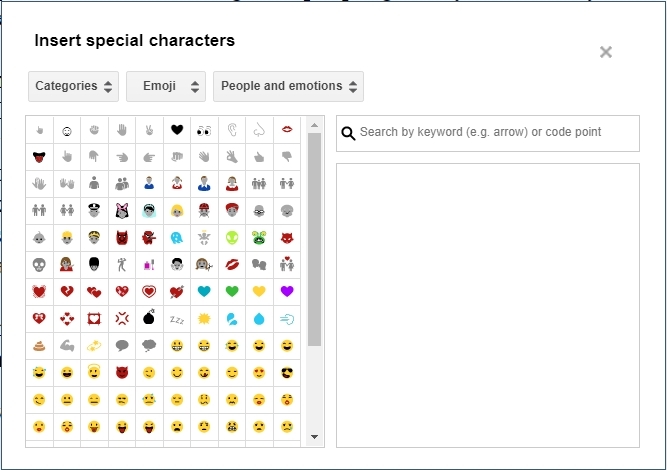 STEP 6: You can also search the special characters using the search box click to add them. This is very simple method to them you can use it in the template just see the code and copy and paste in the template the output will be the symbol you want. This is the best way you can use it in your blog posts and if you want to use it in your template or in any widgets then copy the html code of the character or the number you can learn more about this at Click this link w3schools . Switch to html mode in post editor and you will see the symbols code. You can also copy the code of the symbol there directly if you know. That's It Thanks For Following our Tutorial '' How To Use ASCII Special Characters in Blogger Posts and pages? '' Along With us If you found any difficulty Please Comment and Share Your Valuable Opinion. And Stay tuned for More Tutorials Like This and Share this with your friends.